Not gonna lie — the fact that Jamie Lee Curtis and Michael Myers are stalking the hallowed Hall H stage at San Diego Comic-Con makes me very, very happy. 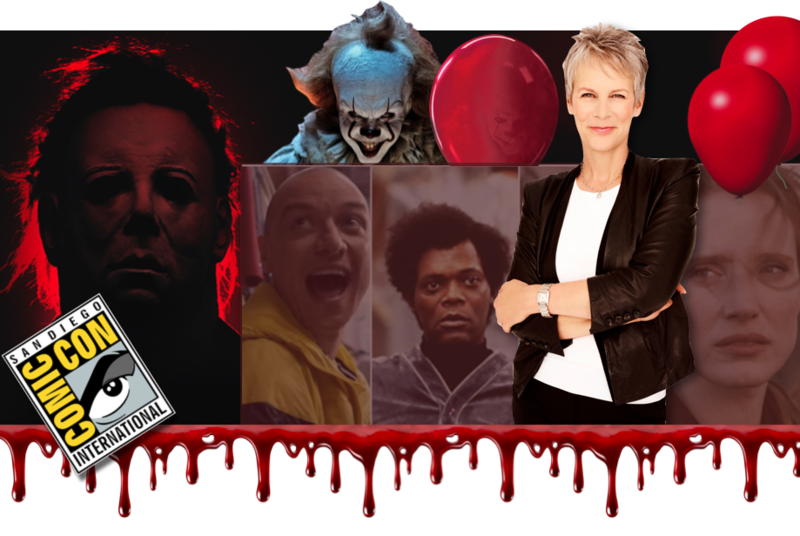 The Halloween franchise began 40 years ago this year, and what better way to celebrate than a brand-new Halloween movie — and what better way to recognize that movie than to bring it, along with the original star, to San Diego Comic-Con. My love affair with horror is a straight line back to Michael Myers and the Creature from the Black Lagoon — and BOTH of them will be in San Diego this year. Yes, yes, and again I say yes! I’m counting the days until the debut of the new Halloween film on October 19 this year! John Carpenter is back onboard as Executive Producer (and film composer!!!! ), and Jamie Lee Curtis returns as everyone’s favorite scream queen! This is Universal Studio’s return to Hall H, and they’re bringing Blumhouse, which is producing Halloween, to scare up some attention. 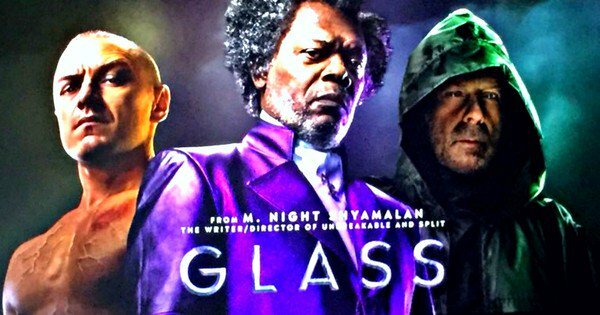 In addition to Halloween, they’re also bringing GLASS, M. Night Shyamalan’s sequel to Unbreakable and Split. Shyamalan and Glass cast Samuel L. Jackson, Bruce Willis, James McAvoy and Sarah Paulson will be on stage. 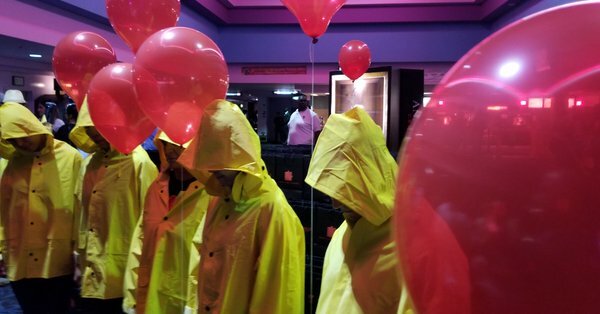 The ScareDiego Event takes place at 9:30 p.m. on preview night at the Horton Grand theater, which is a few blocks offsite. As with all events at this theater, you have to go to the Sails Pavilion to get a ticket at Desk AA-9. Apparently, you won’t be put in a lottery, but neither are you guaranteed a ticket. You have to “try” for a chance to get a ticket (and a plus-one). Go try for a ticket beginning at 2 p.m. Wednesday. This will DEFINITELY be a popular event. 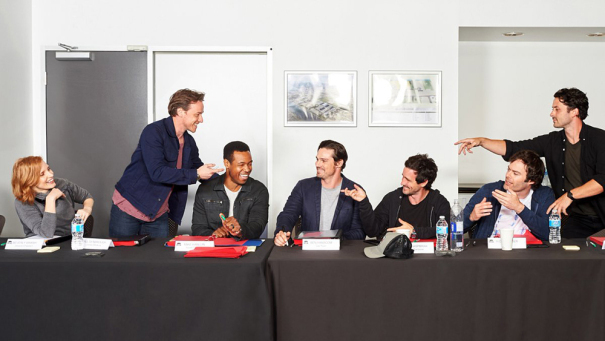 Warner Bros (which owns New Line) released this first cast photo for IT: Chapter Two. Featured in the photo are Jessica Chastain, who plays Beverly Marsh, Bill Hader as Richie Tozier, James McAvoy as Bill Denbrough, Jay Ryan as Ben Hanscom, James Ransone as Eddie Kaspbrak, Isaiah Mustafa as Mike Hanlon and Andy Bean as Stanley Uris. I love that the Studios are bringing the horror… especially Halloween — my favorite horror movie of all time. And M. Night is back! It’s like trick or treat for adults!